3.451,00 € inkl . 19% MwSt . 2.900,00 € exkl . MwSt . 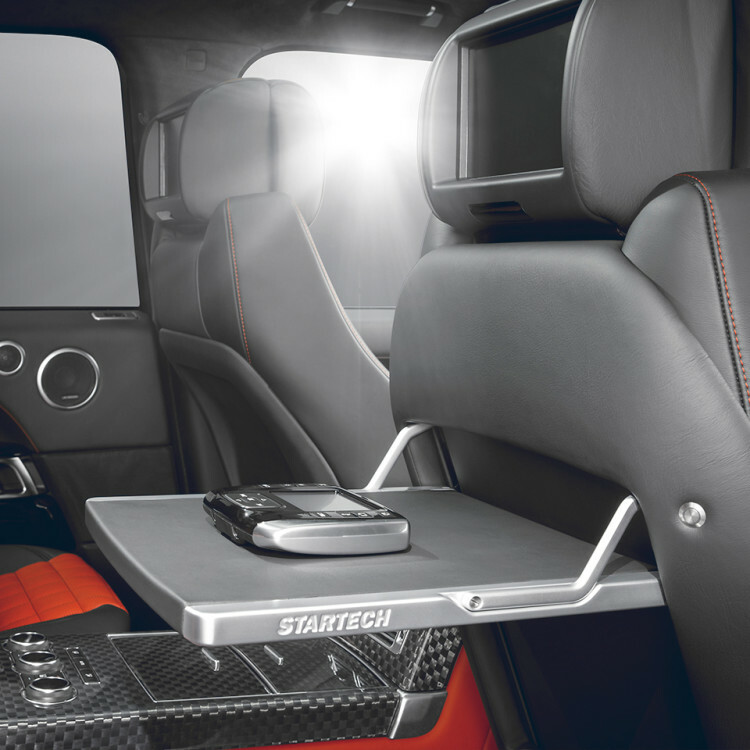 Power-retractable tables, which were stylishly adapted to the backrests of the front seats with special consoles, securely hold a tablet computer thanks to an integrated adjustable fastener.